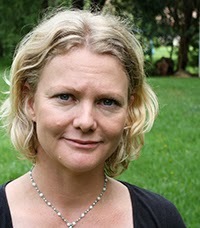 Rebecca James' debut YA novel, Beautiful Malice, was an international publishing sensation, selling in 52 countries. Her third novel was released this month, Cooper Bartholomew Is Dead. It's terrifically gripping - I read it all in one sitting. 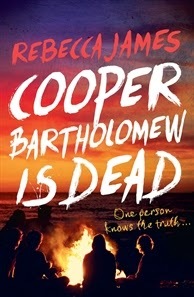 Spoiler: it's about Cooper Bartholomew being dead (even though it opens with Cooper's death, we actually get to know Cooper pretty well... as Rebecca says, it's a backwards mystery. Okay, I should probably stop talking about it. I might genuinely spoil it. More info on it here). I was on a panel with Rebecca at Somerset Writers Festival in 2011 (There's a photo of that panel in this post, where we appear very solemn, obviously because we were being serious thoughtful writer types. My blog is very helpful for remembering things - including my polka-dot dress phase). As well as being a sensational writer she is lovely in real life. 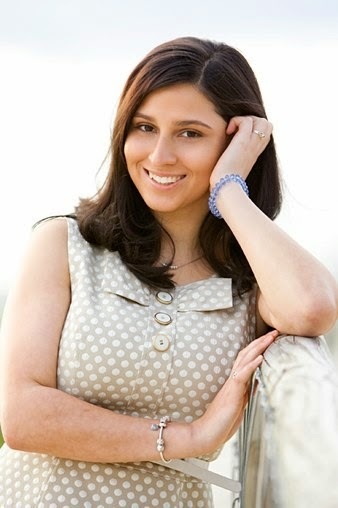 So it was terrific to have the chance to interview her about Cooper Bartholomew Is Dead, her writing process, genre (NA vs YA) and her publishing journey! 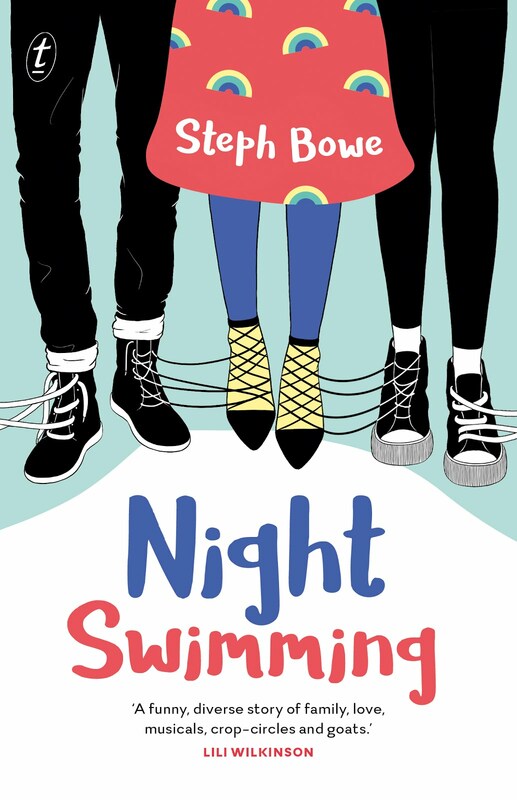 Steph: In Cooper Bartholomew Is Dead, we get to see the story from four different perspectives - primarily Libby's (Cooper's girlfriend), but also Cooper's, Sebastian's (Cooper's best friend) and Claire's. Each of these characters are well-developed, but there's also a wide cast of secondary characters with similar authenticity - what made you decide to write the story from four different perspectives, and how did you manage to develop distinct voices and characterisation? Rebecca: When I started writing this book and started thinking about the characters involved I quickly realised that it would be more interesting and satisfying to include all four perspectives. One event can be described so differently depending on who's telling the story. It's one if the fascinating things about human beings --- the way we all see things from our own point of view, the way we're all the centre of the story. Having the four different voices, each with their own individual take on the situation, allowed me tell four versions of the same story --each of them equally valid. It's always hard trying to make different characters have different voices and I'm very glad to hear you think I've succeeded in this. First of all, I guess, I just try and exist in each characters head as I write their scenes. I try to think and feel as I imagine they might feel. In a more practical way I try to vary sentence length, dialogue tics, vocabulary, things like that. Steph: The novel is also incredibly suspenseful and well-constructed - do you plot your stories out before writing them, and do you have any specific strategies for generating suspense and increasing tension in a story? Do you have any advice for people wanting to write suspense? Rebecca: Thank you. After many years of saying that I'm a a complete panster I've come to realise that's not entirely true. It's not that I've been fibbing all this time, it's just that when I wrote my first published book, Beautiful Malice, I had no idea what was going to happen from page to page, scene to scene, and I think I decided then and there that "This Is How I write." But when I wrote my second and third books (Sweet Damage and Cooper Bartholomew Is Dead) I definitely had a rough outline of the plots in mind before I even started. I even wrote a synopsis for Sweet Damage. (I altered it dramatically, but still, I don't think I can claim to have been completely winging it.) My plots are very loose and unstructured -- major plot points always change, unexpected things always happen -- and there are certainly no spreadsheets involved, but I do have a general story arc in mind before I begin. Hmm. How do I create suspense? I'm afraid I don't have any brilliant or insightful answers to this. I write quite intuitively, I think, ploughing on without thinking too hard about the mechanics behind it all. If I have to stop and think about it though, I guess suspense is all about withholding information, tantalising the reader with different possibilities and clues, forcing them to turn another page and then another so they can find out what happened or is about to happen. 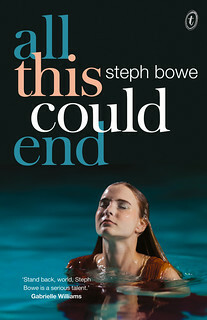 Steph: The central characters in Cooper Bartholomew Is Dead are university students, a bit older than traditional YA characters (I suppose you could call it New Adult Suspense? ), and it's a novel I can imagine being read by both older teenagers and adults. Do you have a specific age range or reader in mind as you write? Is fitting into a genre or subgenre something you consider at all? Rebecca: Since getting a publishing deal with Beautiful Malice I do think about what category I'm writing for, yes. I have to because I'm contracted to write YA books for Allen and Unwin. I couldn't really write a book about a middle aged man contemplating a career-change for example. (Well, I could I guess, but they probably wouldn't publish it!) So, yes, I think about the category in that I consciously keep my characters young. Having said that, in both Sweet Damage and Cooper Bartholomew is Dead my characters are in their late teens and early twenties which makes them a bit older than many traditional YA characters, as you noted. But Allen and Unwin publish my work as YA fiction, so I guess it still qualifies! (Maybe when and if NA becomes more firmly established in Australia this might change? I don't know.) In any case kids and teenagers like to read up, so an older teenager who is finishing High School may well be very interested in a story about young people moving out of home, starting university, getting a job, falling in love for the first, second or third time. (I know I certainly would have been!) I try not to get too hung up on categories and publishing definitions. I suppose I trust that I can leave that side of things to the professionals? Some reviewers have called my work NA fiction, others upper YA, some people describe it as crossover fiction. I don't mind how it's categorised, I try to concentrate on writing engaging stories. 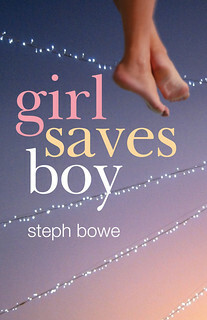 Steph: You mention on your blog that you started writing Cooper Bartholomew Is Dead in 2009, and you've published two novels in the meantime, so I imagine it was a challenging novel to write - what was your process like for this novel, and how did it change and evolve over that five year period? Were there any particular inspirations for this novel? Easy peasy! I promised to have the new book done in two months. Ha! Sweet Damage took two years and in hindsight, dumping CooperB was a crazy decision. I now know that it always seems easier to start something fresh. The new shiny idea always looks so glittery and tempting. Problem is the new shiny idea soon becomes the difficult book, the work that needs a major restructure and a good polish. There's simply no getting away from the fact that there is hard work involved. Steph: Your debut novel, Beautiful Malice was published in a whole lot of countries and there was a great deal of hype around it, which is what I think a lot of aspiring (and published) novelists dream of, but obviously there's a huge amount of pressure. What was that experience like for you, and did it make writing your second and third novels more challenging, with that level of expectation and scrutiny? For a long time I worried that I'd been given more than I deserved. I suddenly had a lot of unexpected attention (not all of it positive) that I really wasn't ready for and hadn't in any way anticipated. And all the time I was afraid of seeming ungrateful, afraid of feeling ungrateful. It was a strange time and I learned a lot. About people. About publishing. About myself. Steph: Imagining you could travel back in time and meet your slightly-younger self without tearing the fabric of the space-time continuum and what-not, is there any advice you would share with her about writing and publishing? Rebecca: If I could go back a few years and talk to myself when I was just selling Beautiful Malice to publishers I'd have quite a lot to say. I'd definitely tell myself not to feel guilty or ashamed of success. I'd tell myself to ignore online negativity and unkindness, to let it wash over me. I'd train myself not to be terrified of attention and not to take it all too seriously. I'd also tell myself to grow a thicker skin and not to feel too intimidated: all writers feel slightly fraudulent. I'd explain that publishing is a very fickle industry, that there will be highs and lows, times when writing will seem like the worst job in the world, days when it will seem like the best. I'd stress the fact that, ultimately, it's the work that counts -- which is a good thing, because it's the only part the writer can control. Thanks, Rebecca! For more info on Cooper Bartholomew Is Dead, check it out on the publisher's website (you can read an excerpt! You will almost definitely want to read more!). I also love Rebecca's blog - she writes very honestly and insightfully about being a writer and her experiences. And she twitters!